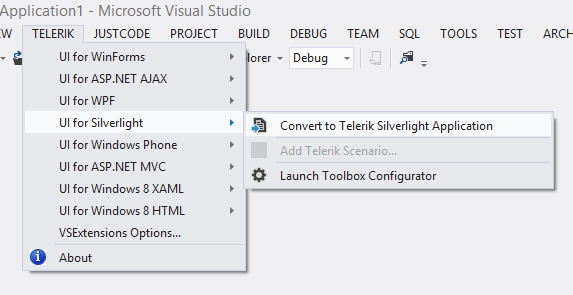 This article explains how to get the Telerik UI for Silverlight controls in your project and start using them quickly. Once you have your first simple control up and running, take a look at the next steps section to start exploring the control functionality in more detail. The easiest way to get the controls to your development machine is to use the Progress Control Panel or to download the automated MSI installer from your telerik.com account. If you are not a customer, you can download a free, fully functional trial and the same options will apply to you as well. The following article can help you choose the installation type that is most suitable for your needs and preferences: Which File Do I Need to Install. 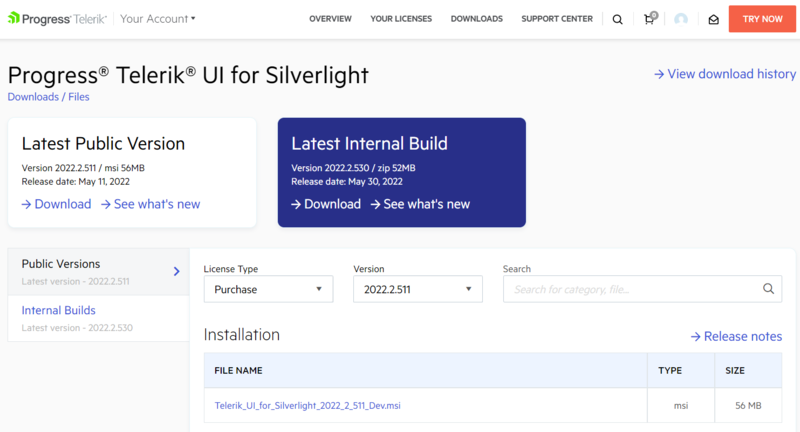 The easiest way to create a Telerik UI for Silverlight project is to use Visual Studio Extensions which are distributed with the Telerik UI for Silverlight installer. If you do not have a project, run the Create Project Wizard. If you already have a Silverlight project, run the Convert Project Wizard. If you prefer full manual control over your project, you can copy the Telerik assemblies to the ~/bin and add references to them through the Visual Studio interface. The controls come packaged in several assemblies but to get started, you only need Telerik.Windows.Controls.dll. The final step is to actually add a Telerik control to your application. You can also drag a control from the Visual Studio Toolbox. If you do not see the controls in the toolbox, examine the Adding the Telerik Controls to the Visual Studio Toolbox article.